Sean Szymkowski February 2, 2018 Comment Now! Mercedes-Benz has new ideas for the compact-luxury car class, and the 2018 A-Class is the first indication. 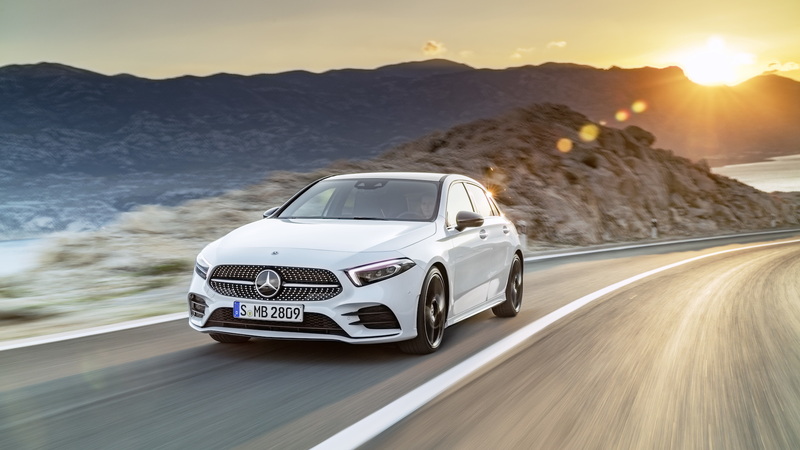 On Friday, the luxury brand unveiled the new A-Class hatchback with a sleeker design, and an interior fitted with the brand's new MBUX infotainment system. The A-Class has grown up, and it's safe to say the S-Class took the compact hatch under its wing. The exterior design is far from dramatic, but the handsome shape flows well with more streamlined head and taillights and simple body surfacing. 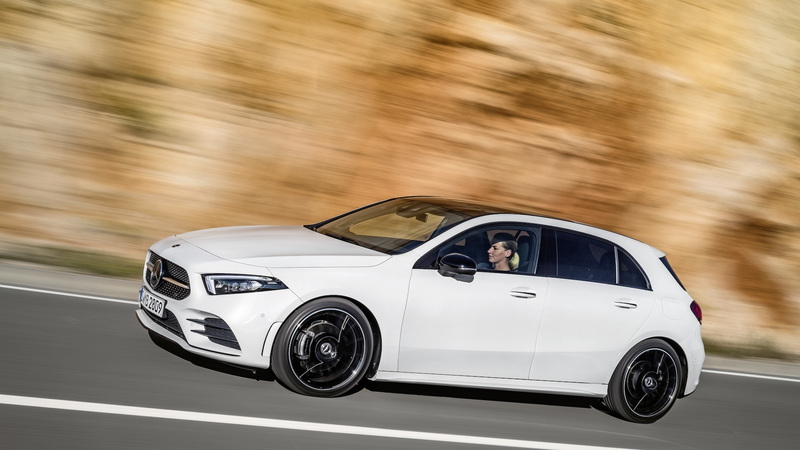 Mercedes-Benz extended the wheelbase to create a longer profile and widened the wheel arches 3 inches to emphasize a more athletic look overall. The real story is the interior. 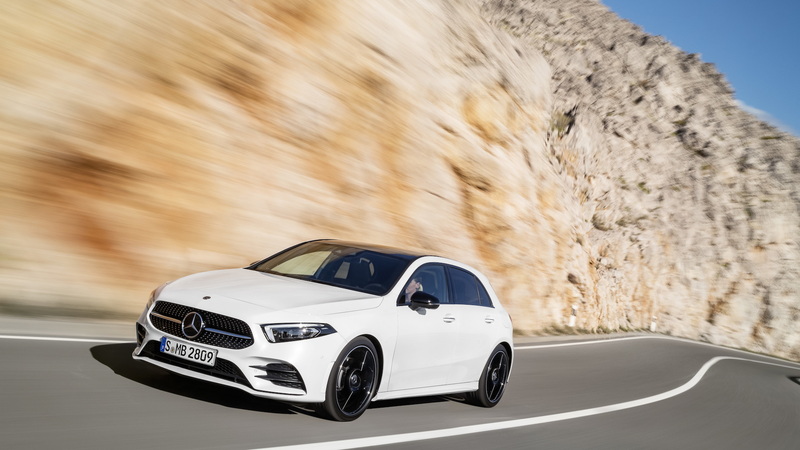 The 2018 A-Class ushers in MBUX, or Mercedes-Benz User Experience. The new infotainment system features an array of screens that will be available in three versions: two 7.0-inch displays, one 7.0-inch and one 10.25-inch display, or two 10.25-inch displays. The first screen acts mostly as a virtual gauge cluster, while the second display handles other typical infotainment features. The draw of MBUX is its artificial intelligence system. Drivers will be able to say things such as "Hey Mercedes, I'm too hot," and the A-Class will bump the climate control down to cool the cabin off. Or, drivers can tell the system they're hungry, and MBUX will pull up restaurant options complete with Yelp reviews. In our first test, the system worked incredibly well in a clear and concise manner. Aside from the infotainment system, the cabin has also grown with more shoulder, elbow and head room. The rear hatch also boasts an extra cubic foot of space over the previous A-Class hatch. Mercedes-Benz also highlighted the optional, and more luxurious, touches including features such as climate-controlled massaging seats, a suite of active safety features, and LED performance headlights. LED daytime driving lamps are standard. Moving under the hood, the A-Class will offer three inline-4 engines overseas: two gasoline-powered and one diesel-powered engine. The A200 and A250 variants will feature either a 1.4-liter or 2.0-liter inline-4 engine, good for 163 horsepower and 224 horsepower. The diesel will remain exclusive to the A180d, which displaces 1.5 liters and provides 116 hp, but 260 pound-feet of torque. Either a 7-speed dual-clutch transmission or 6-speed manual will handle shifting duties. Mercedes-Benz will offer all-wheel drive on some models, as well as an active damping suspension. The United States won't get the A-Class hatchback, but the A-Class sedan will make the journey overseas. 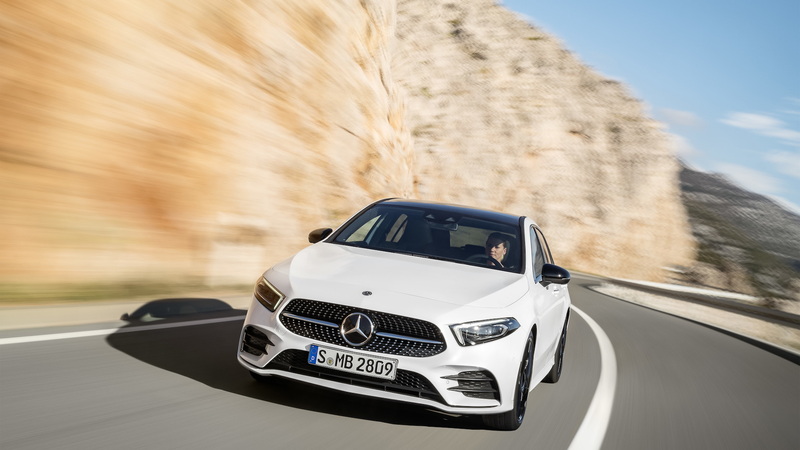 The A-Class' new platform will also underpin a slew of other cars: a GLA crossover SUV, CLA sedan, CLA shooting brake, GLB rugged SUV, and EQA electric car.